Draft: 2010, New York Mets, 5th rd. Matthew Gerrit den Dekker graduated from Westminster Academy (FL)...Named to the All-SEC team for three straight years, becoming only the second player in conference history to accomplish the feat...Was also an All-SEC selection as a sophomore and a senior at the University of Florida…Led the Gators to the SEC title as a senior...Is a cousin of former Astros pitcher Kevin Chapman. Began the season in the Marlins organization with New Orleans (AAA) of the Pacific Coast League...Was released and signed as a minor league free agent by Detroit on May 20 and assigned to Toledo (AAA) of the International League...Appeared in four games with the Detroit Tigers and went 1-7 (.143) with a run scored. Hit his first career leadoff home run on April 24 vs. Minnesota off Tyler Duffey...Hit .207 (77-372) with 14 doubles, one triple, eight home runs 44 RBI, 40 walks, 20 stolen bases and 41 runs scored in 106 games for Syracuse (AAA) of the International League. Made Washington's Opening Day roster after joining the organization at the end of Spring Training...Set career marks in home runs (5), RBI (12), batting average (.253), slugging percentage (.485), OPS (.800) and games played (55)...Finished the season strong, going 9-for-25 (.360) with four doubles, two homers, three RBI and five runs scored in his last eight games of the season...Posted a .512 slugging percentage against right-handed pitching (4 2B, 3B, 5 HR)...Hit .222 (4-for-18), with a double, HR, two RBI and two walks as a pinch hitter...Clubbed an 8th-innning, pinch-hit, two-run home run to propel Washington to the 5-3 win over the Los Angeles Dodgers in the July 17 suspended game, July 18 vs. LAD...Enjoyed four stints with the Nationals over the course of the season...Appeared in 73 games for Triple-A Syracuse, hitting .249 with 12 doubles, two triples, eight home runs, 32 RBI and eight stolen bases. Spent the majority of the year with Las Vegas (AAA) of the Pacific Coast League...The Mets selected his contract from Las Vegas on August 27...Appeared in 27 major league games...Also played with St. Lucie (A) of the Florida State League. Made his major league debut on August 29 vs. Philadelphia... Went 0-5, stole a base and scored a run...Collected his first hit and RBI on August 31 at Washington. Hit his first home run on September 1 at Washington (off Ross Ohlendorf)...Also finished with his first two-hit game...Had two other mult-hit games: September 7 at Cleveland and September 14 vs. Miami. Hit .333 (8-24) with a home run and five RBI in seven games from August 31-September 10. Appeared in games at all three outfield spots...Played 16 games, 12 starts, in centerfield, seven, two starts, in rightfield and one game, no starts in left...Handled all his 34 chances cleanly. Went hitless in his fina l10 at-bats of the season. Fractured his right wrist in Spring Training...Returned on June17. Hit .338 (48-142) against righties at Triple-A...Hit a combined .291 (69-237) with six home runs and 42 RBI in 67 minor league games. Split the season between Binghamton (AA) of the Eastern League and Buffalo (AAA) of the Pacific Coast League...Hita career high-tying 17 home runs in 135 games between the two stops...Named a MiLB.com Organziational All-Star...Began the year with Binghamton and appeared in 58 games (all starts) with the B-Mets...Made 55 starts in centerfieldand one in rightfield...Also appeared as the designated hitter twice...Compiled a 17-game hitting streak, May 3-May 22...Hit .351 (26-74) during the run...Tied his professional-high with five hits on June 8 at Trenton...Went 5-5 and scored three times...Hit safely in his final eight games with the B-Mets, going 20-33 (.606) with 10 runs scored and six extra- base hits, June2-June 10...Named the Eastern League Player of the Week on June 11...Promoted to Buffalo on June 12 and made his Triple-A debut that night vs. Norfolk...Appeared only in centerfield for the Bisons, making 74 starts in 76 games...Finished with nine outfield assists...Hit two grand slams with the Bisons: August 6 at Syracuse and August 14 vs. Lehigh Valley...Finished both games with aseason-high in RBI of four...Had three hits three different times with Buffalo: June 22 at Durham, July 8 at Scranton Wilkes/Barre and July 17 vs.Toledo. Divided the year between St. Lucie (A) of the Florida State League and Binghamton (AA) of the Eastern League...Hit a combined .265 (143-539) with 17 home runs, 68 RBI, 103 runs scored and 24 stolen bases in 139 games between the two stops...Named a FSL mid-season All-Star...Joined Binghamton on June 22...Compiled a .376 (35-93) batting average in 22 games in April...Scored 23 runs with 13 doubles and 16 RBI...Put together a 13-game hitting streak from April 16-April 29 (28-55, .509)...Hit .333 (20-60) with men in scoring position for St. Lucie...Went 4-5 at Bradenton on April 26...Also had 18 games with two hits and six games with three hits...Had a season-best four RBI vs. Bradenton on May 27...Collected 29 hits in 30 games in July...At Binghamton, he had 10 games with two hits and five games with three hits...Scored four runs vs. New Britain on August 16. Hit a combined .336 (41-122) in his first year as a professional. October 2, 2018 CF Matthew den Dekker elected free agency. July 30, 2018 New York Mets sent Matthew den Dekker outright to Las Vegas 51s. July 27, 2018 New York Mets designated CF Matthew den Dekker for assignment. July 11, 2018 New York Mets selected the contract of CF Matthew den Dekker from Las Vegas 51s. June 28, 2018 Las Vegas 51s activated CF Matthew den Dekker from the 7-day disabled list. June 6, 2018 Las Vegas 51s placed CF Matthew den Dekker on the 7-day disabled list retroactive to June 4, 2018. February 15, 2018 New York Mets signed free agent LF Matthew den Dekker to a minor league contract and invited him to spring training. February 15, 2018 CF Matthew den Dekker assigned to Las Vegas 51s. October 2, 2017 LF Matt den Dekker elected free agency. July 9, 2017 Detroit Tigers sent LF Matt den Dekker outright to Toledo Mud Hens. July 5, 2017 Detroit Tigers designated OF Matt den Dekker for assignment. June 23, 2017 Detroit Tigers selected the contract of OF Matt den Dekker from Toledo Mud Hens. June 16, 2017 Toledo Mud Hens activated OF Matt den Dekker from the temporarily inactive list. June 13, 2017 Toledo Mud Hens placed OF Matt den Dekker on the temporarily inactive list. May 20, 2017 Detroit Tigers signed free agent CF Matt den Dekker to a minor league contract. May 20, 2017 OF Matt den Dekker assigned to Toledo Mud Hens. May 2, 2017 CF Matt den Dekker elected free agency. December 15, 2016 CF Matt den Dekker assigned to New Orleans Baby Cakes. November 30, 2016 Miami Marlins signed free agent CF Matt den Dekker to a minor league contract and invited him to spring training. November 7, 2016 CF Matt den Dekker elected free agency. September 3, 2016 Washington Nationals sent CF Matt den Dekker outright to Syracuse Chiefs. September 2, 2016 Washington Nationals designated CF Matt den Dekker for assignment. May 15, 2016 Washington Nationals optioned LF Matt den Dekker to Syracuse Chiefs. May 14, 2016 Washington Nationals recalled Matt den Dekker from Syracuse Chiefs. May 6, 2016 Washington Nationals optioned LF Matt den Dekker to Syracuse Chiefs. April 6, 2016 Washington Nationals recalled Matt den Dekker from Syracuse Chiefs. April 1, 2016 Washington Nationals optioned LF Matt den Dekker to Syracuse Chiefs. August 28, 2015 Washington Nationals recalled Matt den Dekker from Syracuse Chiefs. July 28, 2015 Washington Nationals optioned LF Matt den Dekker to Syracuse Chiefs. June 11, 2015 Washington Nationals recalled Matt den Dekker from Syracuse Chiefs. June 3, 2015 Washington Nationals optioned CF Matt den Dekker to Syracuse Chiefs. June 2, 2015 Washington Nationals recalled Matt den Dekker from Syracuse Chiefs. April 13, 2015 Washington Nationals optioned CF Matt den Dekker to Syracuse Chiefs. August 9, 2014 New York Mets recalled CF Matt den Dekker from Las Vegas 51s. June 19, 2014 New York Mets optioned CF Matt den Dekker to Las Vegas 51s. June 2, 2014 New York Mets recalled Matt den Dekker from Las Vegas 51s. June 1, 2014 New York Mets optioned CF Matt den Dekker to Las Vegas 51s. May 26, 2014 New York Mets recalled Matt den Dekker from Las Vegas 51s. March 24, 2014 New York Mets optioned CF Matt den Dekker to Las Vegas 51s. August 27, 2013 New York Mets selected the contract of Matt den Dekker from Las Vegas 51s. July 1, 2013 Matt den Dekker assigned to Las Vegas 51s from St. Lucie Mets. June 17, 2013 Matt den Dekker assigned to St. Lucie Mets from Las Vegas 51s. April 4, 2013 Matt den Dekker roster status changed by Las Vegas 51s. 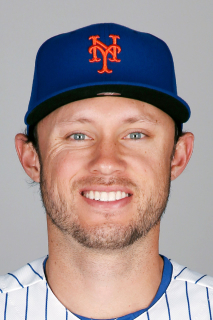 January 14, 2013 New York Mets invited non-roster CF Matt den Dekker to spring training. June 11, 2012 CF Matt den Dekker assigned to Buffalo Bisons from Binghamton Mets. February 6, 2012 New York Mets invited non-roster CF Matt den Dekker to spring training. June 22, 2011 Matt den Dekker assigned to Binghamton Mets from St. Lucie Mets. April 7, 2011 Matt den Dekker assigned to St. Lucie Mets from Savannah Sand Gnats. March 1, 2011 OF Matt den Dekker assigned to New York Mets. August 8, 2010 Matt den Dekker assigned to Savannah Sand Gnats from GCL Mets. August 1, 2010 Matt den Dekker assigned to GCL Mets from New York Mets. July 31, 2010 New York Mets signed OF Matt den Dekker.